Has the destocking in Queensland really began? 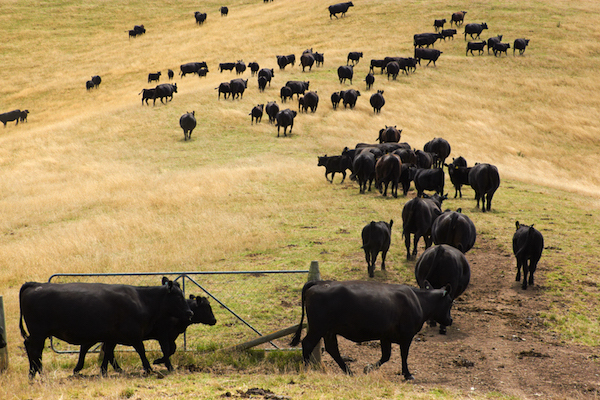 Home > Cattle > Has the destocking in Queensland really began? 26 Feb Has the destocking in Queensland really began? The annual average ratio of female cattle culled in Queensland as a proportion of the total slaughter for 2017 was 40.4%, a fraction below the 2016 figure and well below the slaughter measure reached during the 2014 herd liquidation of 46.5%. Price spread behaviour of Queensland restockers suggests the buyer activity for this group is relatively normal for this time in the season, compared to the historical data set. Northern restockers have been active in greater volumes, compared to the south, buying well above the weekly average volume for young cattle since the start of the season. The recent Australian Bureau of Statistics (ABS) cattle slaughter data for December 2017 shows a spike in the proportion of females as a percentage of total slaughter for Queensland and suggests the delayed start to the wet season is leading to a herd destock in the north. However, the ABS data is lagged so its unclear yet if this trend has carried into 2018 – fortunately the underlying EYCI data may provide a clue as to what northern restockers are doing at the moment. Figure 1 highlights the increased female slaughter pattern in Queensland, showing that since Spring the kill levels for females as a proportion of the total slaughter has been somewhat elevated from a historic perspective, trekking above the upper end of the normal range. However, it is yet to reach the very high levels consistent with the herd liquidation experienced during the 2014 season, when the annual average percent of females slaughtered as a proportion of the total kill reached 46.5%. Indeed, the annual average for 2017 came in at 40.4%, a fraction lower than the 2016 level of 40.5%. This seems to suggest that while the increase in Queensland female slaughter ratio in December was a little alarming, it’s not panic stations just yet. Taking a look at the underlying EYCI data for restocker activity in the north we are able to assess what the impact to the delayed wet season has been on herd intentions by looking at both price and volume behaviour of the northern restockers. Figure 2 shows that northern restockers (sale yard restocker young cattle buyers north of Dubbo) were paying higher than average premiums for their young cattle purchases compared to the broader EYCI, suggesting that optimism is still reasonably healthy amongst this group of buyers. Furthermore, filtering the underlying EYCI data to just restockers in Queensland (from the four southern Queensland sale yards that contribute to the EYCI) shows that there was a rise in the premium spread to the EYCI during February toward the top of the normal seasonal range. Although it is noted that Queensland restockers, as of last weeks closing prices, were now paying slightly under the seasonal average premium to the EYCI for this time in the year – figure 3. What is really interesting though are the volumes of young cattle being bought by northern restockers compared to their southern counterparts at the sale yard, compared to the normal seasonal averages. Figure 4 shows that northern restockers have been pretty active so far this season with average weekly volumes of young cattle being bought by northern restockers trending well above the seasonal average, particularly compared to the southern restocker pattern, which is trending slightly below the average. The lag on the ABS data makes it difficult to give a clear answer as to whether the herd is being liquidated in Queensland so we will have to wait to see what develops there as the 2018 monthly data becomes available. However, its fairly certain that despite the spike in the female slaughter ratio that occurred in December for Queensland, it is nothing like the 2014 season. Furthermore, the underlying EYCI data on both price spread relationships and volumes suggest that we don’t need to sound the alarm on a herd liquidation in the north – just yet.